Alex’s roots in acting stem back to elementary school, where he played iconic roles such as the Easter Bunny and the moon. He went on to study theater as well as leadership and social change at Virginia Tech, where he founded Lolopolis Comedy Group (now Kentucky Fried Comedy.) Upon graduation in 2012 Alex continued his improvisational theatre studies at iO and the Second City Conservatory in Chicago. Alex has appeared in WIT’s Fighting Improv Smackdown Tournament, the Kennedy Center’s Page to Stage New Play Festival, the San Diego Improv Festival, District Improv Festival, Philly Improv Festival, and the Upright Citizens Brigade Theatre’s Del Close Marathon. Alex Beard is the Spirit Airlines of improv instructors. Alex holds a B.A. in Theatre Arts from Virginia Tech and has trained at the Second City Conservatory and iO Training Center in Chicago. He is currently an ensemble member of WIT’s Nox!, and has been performing and teaching improvisational theatre for the past 13 years. 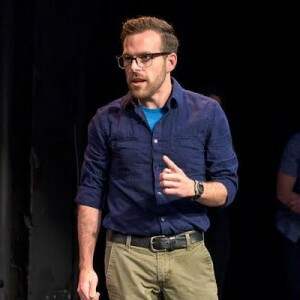 He currently coaches high school improvisational theatre ensembles in Northern Virginia, and teaches teen longform classes in Loudoun County Virginia. He is driven to push his students to explore their honest emotional state, to live in the moment, and to make real connections with their scene partner(s) and audience. He strives to “rough” his students up a bit, give lasting notes, and have some laughs so that we all may transcend to the level of gods and poets together.